Getting your house ready for a big move can be challenging at the best of times, especially if you make packing mistakes along the way. While it’s almost impossible to have a totally stress-free move, a little organisation can go a long way. Let’s take a look at 10 common packing mistakes that you can easily avoid with a little common sense and preparation. Packing doesn’t have to be stressful. 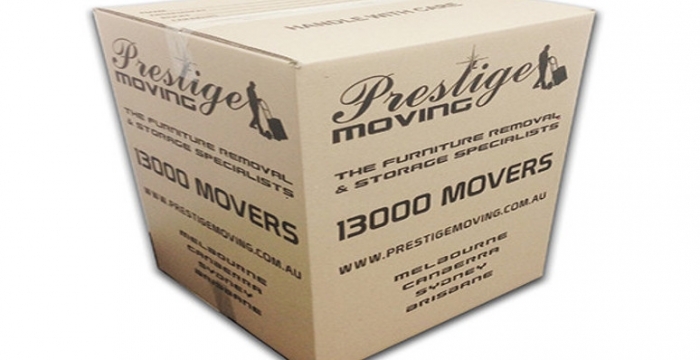 Download our comprehensive moving house checklist for a smoother and easier relocation. It’s all too easy to get carried away with your packing endeavours and pack all of your possessions without sorting them out first. This is one of the worst mistakes you can make because it’ll cost you time, money, and that most precious resource of all – effort. Instead of lugging items you no longer need to your new house, now is the perfect time to decide what possessions will come with you and what you can sell, give away, recycle, or throw out. Weigh the value of each item before you pack it and consider the costs involved with moving it to your new home. Packing at the last minute is not just a mistake, it’s a critical error that can turn moving day from a chore into a nightmare. Stop procrastinating, start moving, and try to finish as much packing as you can as early as possible. Ideally, you should start packing two months before moving day, slowly organising your belongings and packing them in separate stages in a systematic and logical manner. Using the correct packing materials will save you both time and money. While you can save resources by getting free moving boxes from friends and family members, some items will need specialised boxes and containers. Quality packing tape and labelling equipment is also required, as is packing paper, bubble wrap, and trolleys for heavy items. Make no mistake, packing is a huge job that involves effort, muscle, and more limbs than you probably have. Whether it’s a friend, a neighbour, or a work colleague, there will come a time when you need to ask for assistance. Don’t underestimate the many hours it will take to pack your entire home and don’t refuse any offers of help. If you don’t have or can’t ask for help, maybe you should hire professional packers. While this is more to do with unpacking than packing, this is a common mistake that catches lots of people out. From parking the moving truck and dealing with clearance issues through to elevator restrictions and traffic management, it’s important to speak with your local council or building manager before moving day comes around. Like most things in life, when it comes to packing, you need to have a plan. Whether it’s creating a moving inventory, labelling boxes accordingly, or sorting out your possessions before you pack them away, organisation and time management are crucial to any successful move. Improper packing can put your belongings at great risk. Common mistakes include overfilling boxes, making boxes too heavy, leaving empty spaces inside boxes, not sealing boxes properly, and placing heavy items in boxes alongside lighter items. Correct packing involves identifying different items and packing them according to their size, shape, and weight. People often avoid labelling boxes because they think it’s a waste of time. This is false economy, with a few minutes of saved time during packing possibly costing you many hours of frustration when you start unpacking. It’s important to clearly write the contents and destination room of each box somewhere that is easy to see, especially for fragile boxes that need to be handled with extra care. Failing to pack a survival box, also known as an essentials box, is a major packing mistake. This special box should be packed last, opened first, and contain all of the essential items you need to survive while you unpack your other belongings. From healthy snacks and bottled water through to electronic devices and prescription medications, this box is critical and should stay with you at all times. When it comes to packing, not all items are created equal. Forbidden items include flammable or explosive goods, perishable foods, pets, and household plants. These items can cause accidents and may be considered a threat by your removal company. Make sure you obtain a list of forbidden items before you start the packing process. Packing is a more complicated process than most people realise. For any assistance with packing, unpacking and removals, contact us for a free quote.